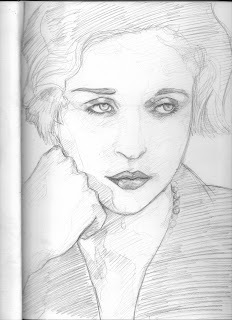 An attempt at drawing the face of Tallulah Bankhead, I hear she led quite a life indeed! I referenced a photo from a book by a photographer called Beaton, he took a lot of cool pictures between the 1920s-70s. Anyway, i think i'll watercolour this some point along the line!